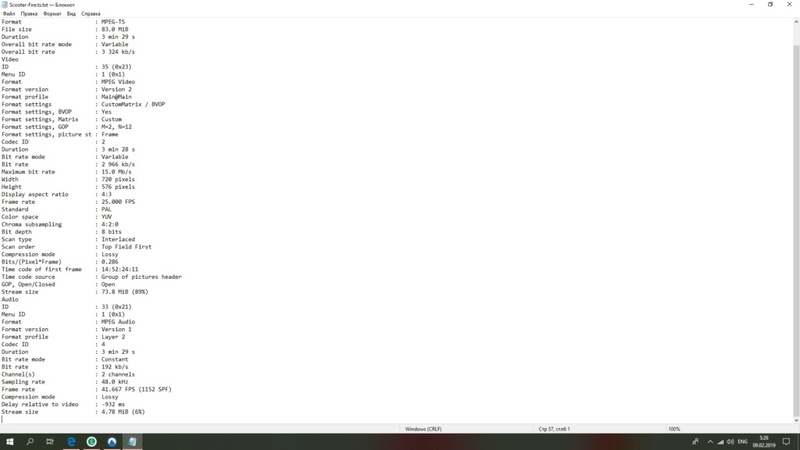 Cannot create file associations on windows 10! I thought, you knew, this problem appeared since win10 release, installation cannot create file associations in windows 10! Even when I click on checkbox! After installation I make files associations manually. Fix it. And, btw, I play some files, with video, but without sound, sound is too slow or too fast (.ts format). And in some files video stops after some time of playing (.flv). With shark007 I play those files, but those codecs have other problems... You should fix it too. Re: Cannot create file associations on windows 10! The file association issue was actually a bug in a recent Windows 10 update. They fixed it again in the latest update, from last week I think. So check if you are up-to-date. If you mean to create file associations fully automatically, that is not possible (on Win8/10). You must use the Windows Default App settings (once). That is a limitation of Windows that Microsoft made to prevent applications from setting themselves as default. Sound being too slow or too fast can sometimes be caused by a bug in the sound driver during channel mixing. Set the correct speaker configuration there. Also check Windows Sound settings. If they are the same, then Windows doesn't need to mix, avoiding the bug. Updating the driver could solve it as well of course. FLV files are often damaged or contain invalid data. Might be fixable with a sample file. Shark uses same codecs (LAV Filters), but without some extra enhancements and fixes that K-Lite uses. So it shouldn't give better playback. If it does for a specific file it might be due to different settings. For example hardware accelerated decoding is more strict than software decoding with regard to files that are out-of-spec. With a sample file I should be able to provide a solution. Whom needs MPC? Is there any users use it? Disable it, please! It has millions of users. You can disable it yourself if you don't want it. Everything in the installer can be adjusted to your own liking. The installer also offers file association options for WMP if you prefer that. The Basic version of the codec pack does not even include MPC. Files, that windows media player plays without sound... I installed ace player, so, in this player sound works. I don't know, why. If you give more details about the file, then I can help. For example, in case of .mkv files, WMP uses the Media Foundation codecs from Microsoft by default. Those don't work perfect with all files. You can disable Media Foundation with the Codec Tweak Tool. Then WMP will use the DirectShow codecs from K-Lite instead. Otherwise, if you could upload the file, then I can test it here to find solution. Undo the Media Foundation or MS Codec Tweaks changes if you made any. Those are not needed. If you are using 64-bit WMP, then you can make the adjustment in 64-bit section. When it is working correctly you should see the blue LAV Audio icon in the system tray (right bottom corner of the screen) during playback. In case of WMP, the quality is already optimal with default installation settings. If you want (a little bit) better video quality, then you need to use MPC-HC with Madvr as video renderer. That provides option for high quality video scaling. This requires a good graphics card. To suggest settings for this, I need to know your GPU and screen resolution. If madvr could be in standard WMP, I would use it. Why he won't make that... Some people are wrong, using old style in all sides of life! WHOM NEEDS MPC... But I'm not interested to continue this dialog. If you can offer something else, but madvr, I can write my configuration: 4790k, 980 GTX, HDD 10000 RPM, Seasonic 860W platinum, mechanical keyboard, gaming mouse. Btw, I used sonic with DVB viewer. And thanks that you fixed MKV, some files played very slowly a short time ago! I found, for example, setting in ffdshow: postprocessing, deinterlacing, …, …! Should I leave it in default settings or click on some checkboxes to make better quality? WMP does not allow you to select a different video renderer. It is a very limited player. Complain to Microsoft about it. There is nothing I can do about it. ffdshow is a very old filter and I don't recommend using it. The extra options it provides don't really have any benefits for modern video formats. You are more likely to decrease quality. It is used only by a small group of experienced people who use it for specific things (such as avisynth plugins). I am not sure why you dislike MPC so much, but I got a feeling you might not be fully aware of its capabilities. It may look very "basic", but it actually is a very advanced player with many useful features. Certainly not something "old". But anyway, there are plenty of people who like WMP, and there is nothing wrong with using that. You just need to accept that it is a bit more limited. Force RGB 32 output, what is it? So, you now you know, I think. The main question is the same: can I make better quality, using all (!!!) settings? And about restricted apps: I wanna have small number of ways, may be 1 way, BUT the best! Everything is already set correct by default. Please don't touch any settings that you don't understand. Use google if you want to learn more. I don't have time to explain a million settings, most of which are not useful for you. Deinterlacing is already done automatically by the video renderer. Doing it manually is only needed in very specific circumstances. Plus most video are not even interlaced at all. HW decoding should be left on DXVA Copy-back. Your 980GTX only supports H.264. Bitstreaming is if you want to send audio to a receiver with S/PDIF connection. x264VFW is a video encoder. This is not used for playback at all. Should I force RGB 32 output? Where this setting used? A-ha, I forgot! When I changed preferred audio decoder to 1 of setting for MPC, in those files sound worked! (ffdshow processor+...), in WMP, of course/ So, ffdshow is useful? But question before is important, I'd like to read answer. No, you should not force RGB32. The fact that you are seeing that option means that you have chosen suboptimal settings. Run the installer again and uncheck ffdshow everywhere. I forgot to chose WMP as default player that time, and it was long time ago. So, that's enough. Many thanks!